According to the US Census Bureau, 91% of workers either use cars or public transportation to travel to work. If there is any industry where machine learning will directly touch the majority of the human population, transportation is certainly at the top of the list. Whether it is monitoring transportation infrastructure for ways to optimize roads and public transportation processes, or predicting the needs of vehicles themselves, machine learning has a lot to offer travelers in the very near future. In this piece, we'll explore five domains that are being revolutionized by machine learning. Until recently, self-driving cars were the stuff of science fiction, but companies like Uber, as well as Google, Tesla, Ford, and General Motors continue escalating their efforts to widely release fully self-driving cars over the next 5 years. Soon, these autonomous vehicles could be commonplace. Autonomous cars would not work, however, without extensive machine learning. Just a small part of autonomous cars controlling the direction/movements of the vehicle. This can be done by using machine vision techniques such as Convolutional Neural Networks to recognise the road and obstacles. Engineers train self driving cars to identify road from non-road, as well as react to hazards like cars in other lanes and pedestrians. With a trained understanding of these hazards, the cars can safely steer themselves. Ultimately, we might imagine self-driving cars being linked together in the world of the Internet of Things. By allowing vehicles talk to each other as well as to a centralised system, each vehicle’s route could be optimized for real-time traffic conditions, whilst vehicle maintenance could be centrally monitored as well. Even if self-driving cars are not widely used, machine learning techniques promise to save ordinary commuters time and gas. 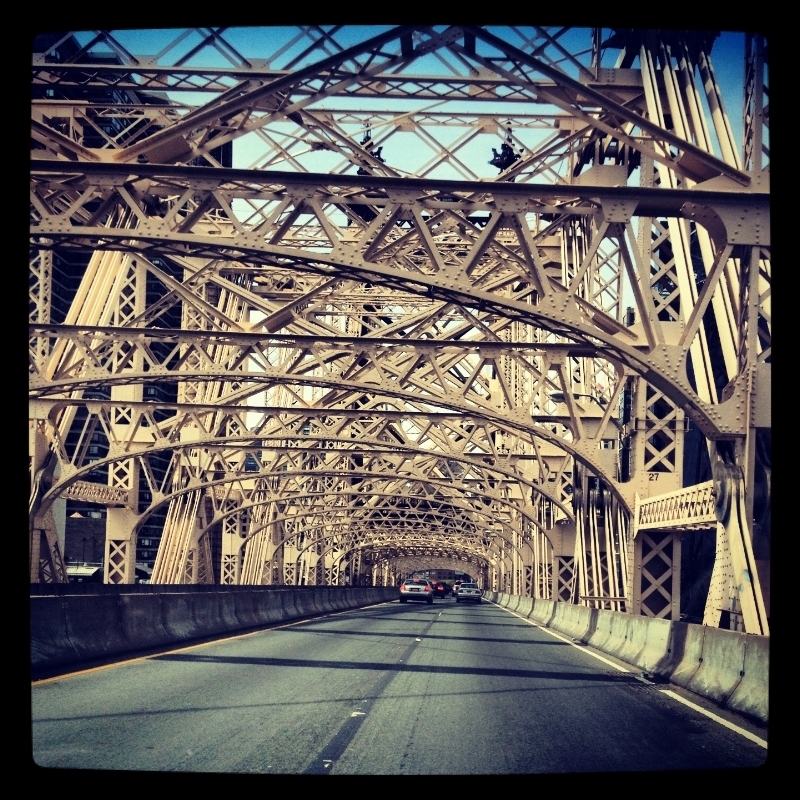 Traffic congestion, for instance, continues to increase across the United States. One proven method to alleviate traffic congestion is to provide commuters with information on where congestion is and how to circumvent it. If authorities predict where congestion will occur ahead of time, they may be able to more effectively reroute traffic and avoid unnecessary delays. Google Maps “Typical Traffic” map of Los Angeles. As these methods become more accurate, authorities can improve their ability to respond to changing traffic patterns and drivers will be able to plan ahead for impending delays. In 2007, the Interstate 35 West bridge in downtown Minneapolis collapsed, killing 13 people, wounding 145 others, and crippling a major transportation artery within the city. Using machine learning methods, we can automatically detect structural defects from ultrasound images as well as predict bridge failures based on historic data of usage and maintenance. 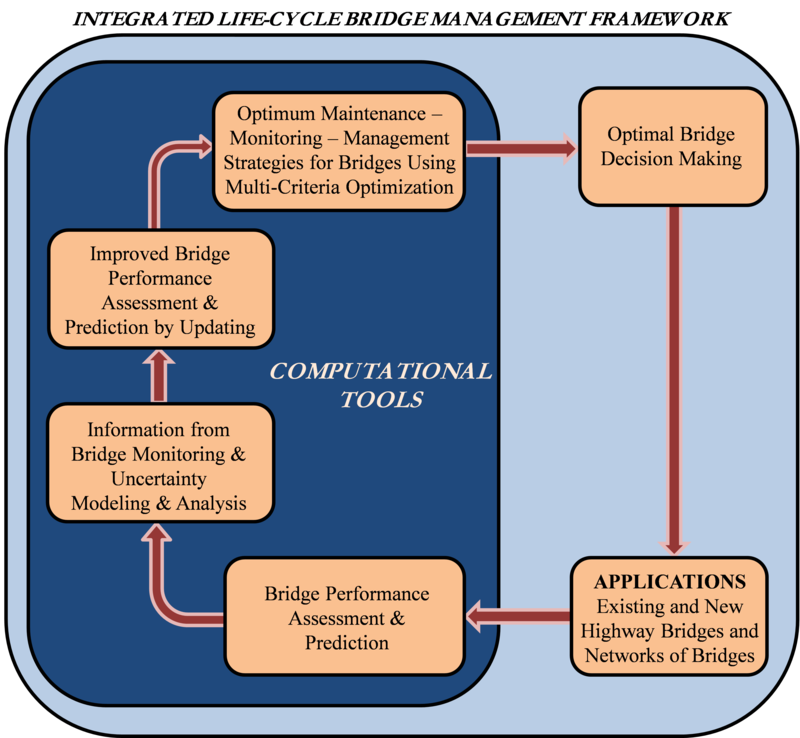 Integrated Life-Cycle Bridge Management Framework, in LTBP Bridge Performance Primer (FHWA-HRT-13-051) by John Hooks and Dan M. Frangopol for the U.S. Department of Transportation Federal Highway Administration. In this way, Machine Learning techniques can help authorities detect and better predict which bridges are most likely to fail. For instance, researchers have trained classifiers like SVMs and Random Forests to identify high-risk bridges based on features such as the seismic potential of the earth and the structural characteristics of the bridge itself. Such work allows authorities to close and fix bridges, roads and traffic infrastructure while they are cheaper to fix and before they cut off major transportation routes, cause injury, or even fatalities. Researchers are also exploring methods for predicting vehicle maintenance needs based on real-time data collected by sensors in a vehicle. One way of predicting a vehicle's maintenance needs is to build a database of deviations (from normal vehicle functions) that are known to cause unplanned repairs in the long term. For instance, Prytz monitored engine sensors for a bus fleet and identified aberrant engine sensor data using histograms of the entire fleet’s sensor data. Specifically, he assigned “anomaly scores” to each bus’ sensor data based on how much the bus diverged from the general fleet histogram for that sensor (see here for more on histogram-based anomaly detection). One sensor that proved to be an especially useful proxy for distinguishing buses was a measure of each bus’ coolant gauge percentage. Prytz found that within weeks, buses with anomalous coolant gauge percentages often needed repair for runaway cooling fans. Training a classifier to recognize deviations in damaging features like coolant gauge percentage could be a major boon for public transportation services, where early detection of vehicle problems has the potential to save public money. In addition, such a classifier could ultimately identify engine problems for individual drivers, so they can fix their vehicles for cheaper preemptive servicing before they need a tow. Additionally, sensors within vehicles could continue to collect more data and augment existing databases of vehicle deviations--allowing for improved maintenance prediction as time goes by and more vehicles use the classifier. Finally, with more data, there is promise that engine and vehicle design may be optimised by manufacturers to improve both reliability and potentially fuel efficiency by monitoring typical engine and vehicle conditions for example. One of the most difficult factors to account for in Public Transportation is the time of arrival for bus services. Buses and trains may be late for any number of reasons, from traffic congestion, to bad weather, to vehicle failures. Late buses can cause riders to opt for other forms of transit, losing revenue for the transit authority and encouraging car usage. Machine learning techniques can be used here to accurately predict time of bus arrivals based on real-time bus position data and factors like traffic congestion, expected operational delays, as well as the time it takes to load passengers at different stops. Researchers have shown that a combination of clustering analysis and Kalman filtering leads to more accurate predicted times of arrival than location-based or heurisic measures. More accurate predictions of this kind may save transit authorities money and give commuters fewer headaches when they are taking public buses. In a recent paper, NTU scholars analysed data from mobile phones (with approximate cell-tower locations) to accurately predict passenger wait times with >95% accuracy depending on . On the logistics side of public transportation, a common problem is the "bus bunching" phenomenon. When buses are scheduled to come every ten minutes, for instance, buses and trains can bunch together if any of the buses experience delays. Illustration of Bus Bunching by Lewis Lehe, with design and art by Dennys Hess. Bunching results in higher wait-times for customers and unbalanced passenger loads in the buses--an inefficient result that could be avoided if buses came every ten minutes as planned. Using real-time bus location data and simple linear regression models to predict delays, though, authorities can predict when a bus driver should leave a bus stop to allow a full ten minutes between buses and prevent bus bunching. By evenly spacing themselves out in this way, buses may become less crowded overall and decrease passenger wait-times. These are just five of many transportation domains that are being revolutionized by machine learning techniques. It remains to be seen how long it will take for data-driven optimization strategies to be implemented by government authorities, or whether self-driving cars will instantly become a mass phenomenon. However, in the long run, machine learning techniques show great promise for making our commute safer, faster, and cheaper.